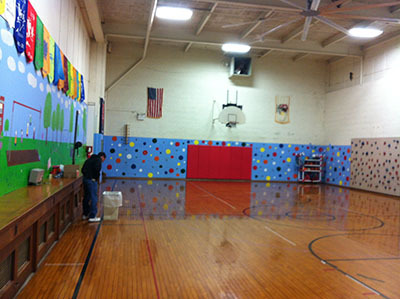 There are a lot of solar schools throughout Illinois. 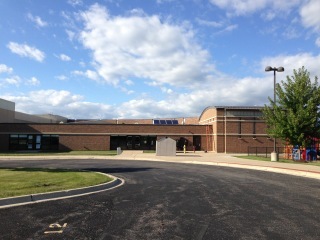 Some districts have more than one solar school. In Vernon Hills, the Hawthorn School District (No. 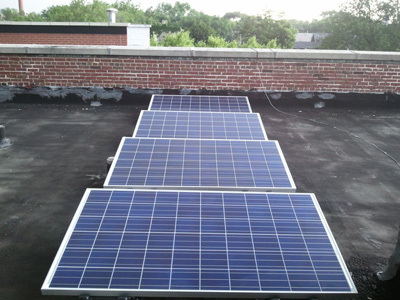 73) has solar school installations at all of its schools. Regardless of how you look at this, it is a school district dedicated to teaching its students about solar electricity.Â The schools are on the web site www.IllinoisSolarSchools.org including the solar data.Â Lisa Cerauli is our primary contact.Â Ceraulil@hawthorn73.org is her e-mail in case you want to ask her how she does it. 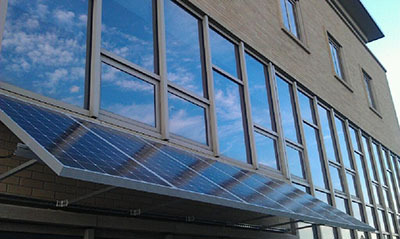 The school is for students up through the 8th grade.Â Allen Ackermann is the Principal.Â Earth Wind and Solar did the solar installation. 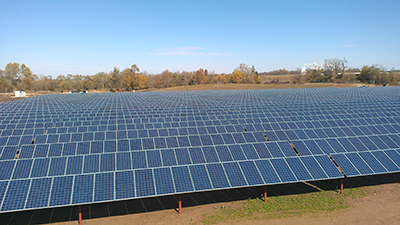 It is technically called â€œthe Rockford Solar Farm at Rockford Airport.â€Â It is a 3 MW solar electricity system that generates more than 4,000 MWH per year.Â It is on a 30 degree tilt that is fixed and south facing. 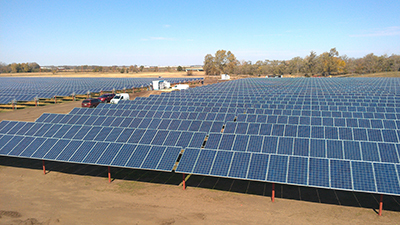 All of the panels are high efficiency 290 watt poly modules which are manufactured by the Wanxiang Company and most of them are assembled in their Rockford, Illinois facility.Â The site is about 70 acres and was provided in the form of a long term lease with the Rockford Airport Authority and the City of Rockford, Illinois. The project cost approximately $13 million including project development, engineering, procurement and construction (EPC), interconnection, project management and administration and construction financing.Â Another 40 MW is being planned and may start later in 2013 or 2014.Â If you have any questions about this project, you may e mail Daniel Li at Dli@Wanxiang.com. 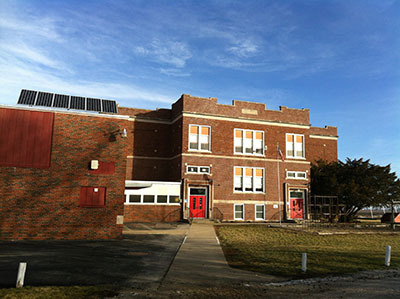 Illinois Clean Energy Community Foundation (ICECF) funded a 1 kW solar electricity system at the Alexander Grade School in Alexander, Illinois. The school is one of those classic buildings that driving by and seeing all of the brick might cause someone to call it an â€œoldâ€ building.Â And it is an older school building but it is a classic because it has huge windows in every classroom allowing in tons of natural light and beautiful woodwork and a fantastic gym.Â But it is one of the cleanest schools I have ever seen and the security is tight.Â For an old building, there are fantastic locking mechanisms on every door and a security camera alerting the office if anyone is on school grounds that is not supposed to be there.Â It reminds me of the school I attended for my elementary school many years ago. 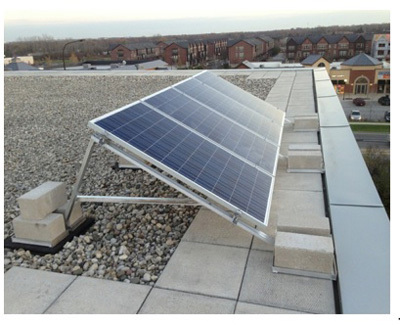 The installation was done by SunAir Systems by Dave Merrill and includes 6 Suntech 170 watt PV panels and a Solectria inverter.Â The data can be read by going to IllinoisSolarSchools.org. Andrew Stremlau is the principal and the primary contact for the school and his e mail can be found at the school page above. 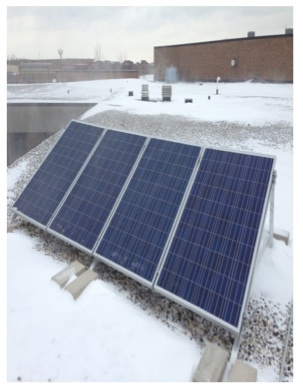 Illinois Clean Energy Community Foundation (ICECF) funded a 1 kW solar electricity system at the Saint Stanislaus Kostka School on North Noble Street in Chicago, Illinois. This is an amazing place where children in PK3 through 8th grade have embraced the opportunity to learn about clean energy and have since implemented sustainable practices throughout the school â€“ through recycling, source reduction, use of earth-friendly products and environmental education. 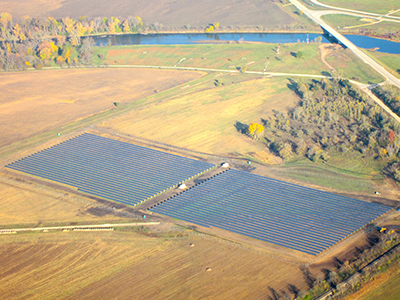 The data can be read by going to the IllinoisSolarSchools.org. Len Kaihara is the primary contact for the school and his e mail can be found at the school page above.Â The installation was completed in 2011.